In 1866, John Brooks founded a company for harness and leather goods. After an uncomfortable ride on his bicycle, he got the idea for a bicycle saddle, which was produced in the stable of his father in 1878 by himself. Since 1962, Brooks Ltd. belonged to the Raleigh cycle company. 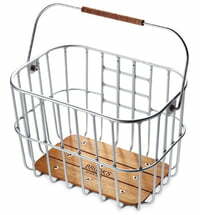 After Raleigh got in 1999 economic trouble, Brooks was sold, but the company still kept the production in England. 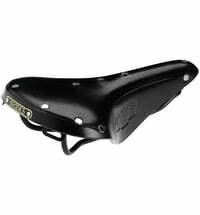 In 2002 Brooks was resold to the Italian saddle manufacturer Selle Royal, under the condition that the production remains in the West Midlands of England. The various models are characterized by their ability to adapt to the individual body shape and their good pressure distribution. 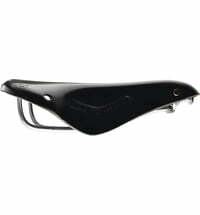 The saddles are made of leather hides and therefore considered to be very breathable. 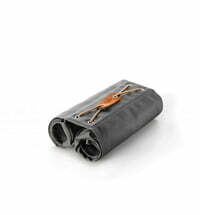 Leather absorbs perspiration and moisture does not accumulate. The goal is a comfortable ride at any weather and any time. 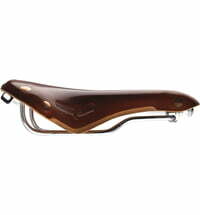 In contrast to saddles made of split or imitation leather, Brooks saddles are bend leather saddles. 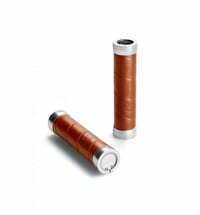 The leather cover is stretched over a steel or a titanium frame and can swing freely and can absorb shocks. Everything from the processing of leather to the packing at the workbench, is hand-crafted at Brooks. The saddle frames are also cut and bent in the factory. Thus, the employees at its headquarters in Smethwick, England, produce around 100000 saddles annually. 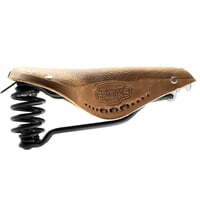 Brooks is one of the last remaining manufacturer of bend leather saddles with a significant market presence. Good saddles are often driven by their owners for a lifetime. The saddles are exported to over 30 countries and some cycling legends are among the most famous owners of a saddle made by Brooks.